Greater Mankato Bike and Walk Advocates (GMBWA) encourage individuals and families to walk and bike as part of a healthy lifestyle. Greater Mankato Bike and Walk Advocates work with city, county and state governments, businesses and nongovernmental organizations to improve the community’s infrastructure and opportunities for walking and biking. 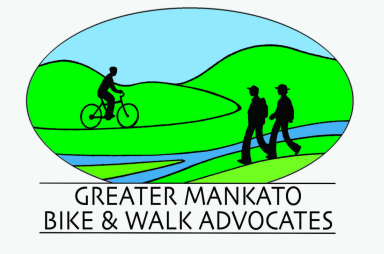 Bike education, bike and walk to school day in Mankato, bike and walk week in Mankato and the Mankato River Ramble bicycle ride are just some of the activities supported by the Greater Mankato Bike and Walk Advocates.